We provide regular maintenance for aquariums of all types and sizes, from small freshwater systems to 500 gallon saltwater showpieces. 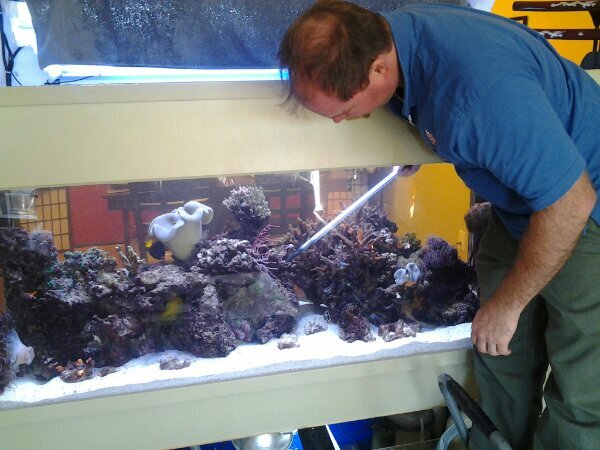 Our team of service technicians is trained to keep your aquarium in top condition and looking vibrant. Cleaning algae off the aquarium glass. Cleaning filters / changing filter elements. Gravel vacuum and water change. Cleaning artificial plants and decor as needed.